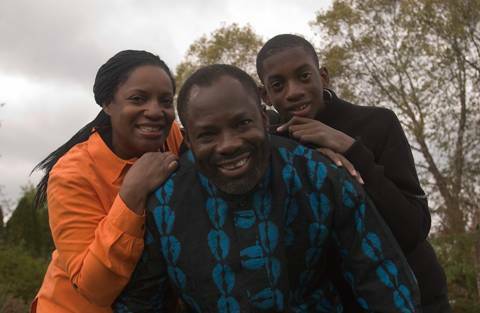 LONDON - Philip Emeagwali was voted the 35th greatest African of all time in a survey for New African magazine, it was announced on August 26, 2004. Emeagwali also ranked as the greatest African scientist ever. 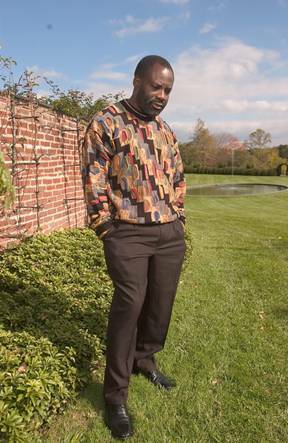 Emeagwali's discovery of a formula that enables supercomputers powered by 65,000 electronic brains called "processors" to perform the world’s fastest calculations inspired the reinvention of supercomputers - from the size and shape of a loveseat to a thousand-fold faster machine that occupies the space of four tennis courts, costs 400 million dollars a piece, powered by 65,000 processors and that can perform a billion billion calculations per second. Emeagwali reformulated Newton’s Second Law of Motion as 18 equations and algorithms; then as 24 million algebraic equations; and finally he programmed and executed those equations on 65,000 processors at a speed of 3.1 billion calculations per second. Emeagwali's 65,000 processors, 24 million equations and 3.1 billion calculations were three world records that garnered international headlines. The list was topped by South Africa's Nelson Mandela and Ghana's Kwame Nkrumah. The London-based magazine said responses flooded in after the survey was launched last December to nominate the top 100 most influential Africans or people of African descent. Patrice Lumumba, Congo's first post-colonial prime minister, ranks sixth, followed by US civil rights leader Martin Luther King. Radical civil rights leader Malcolm X, at ninth, is a rank above United Nations Secretary General Kofi Annan, from Ghana, who comes just ahead of US boxer Muhammad Ali. Few women made the cut. The highest-ranked female, at 12th, is Winnie Madikizela-Mandela, former wife of the South African president. Others include the dynamic duo of tennis, American sisters Venus and Serena Williams (together ranked 73rd), and ancient Egyptian queen Nefertiti at number 81. 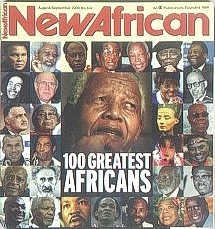 The magazine noted that most of the top 100 are from Africa's post-colonial period. “Have people forgotten Africa's history? Must this worry us, as a people?” it asked. The list appears in the August-September issue of New African, which has a circulation of roughly 30, 000 across dozens of countries. It said this is the first such survey it has carried out in a decade. -- South African Press Association & Agence France-Presse, Sapa-AFP (with contributions from other sources). 1921. 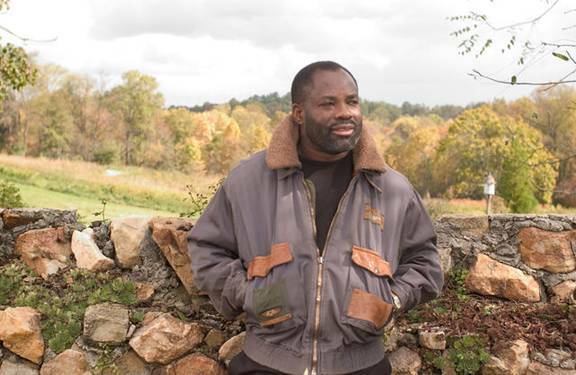 James Nnaemeka Emeagwali (father of Philip) born in May in Onitsha, Nigeria. 1938. Agatha Emeagwali, née Balonwu, (mother of Philip) born on August 7 in Onitsha. 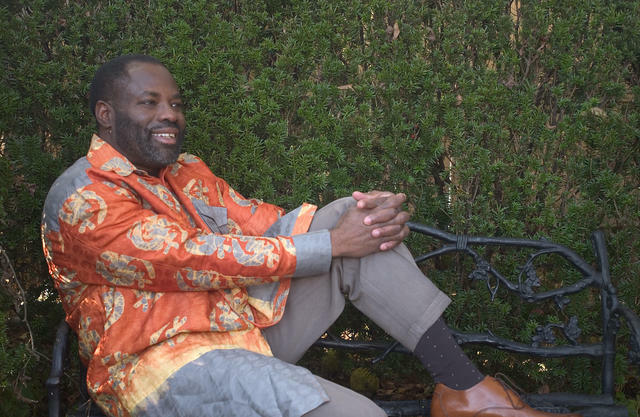 1954 Chukwurah Emeagwali born on August 23 in Akure, Nigeria. 1960 Enrolls in 1st grade in January. Nigeria gains independence from Britain on October 1. 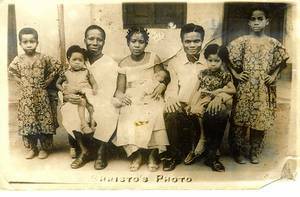 1962 Philip (far right) in family photo taken on December 24 in Uromi, Nigeria. 1966 Nigerian military overthrows elected government. Civil uprising with 30,000 dead. 1967 Nigerian-Biafran war begins in May. One million died in 30-month war. 1968 Emeagwali family fled Onitsha for the fourth and final time[MSOffice5] . 1969 Emeagwali conscripted into the Biafran army in August, sent to Oguta war front. 1970 Biafran army defeated in January. Emeagwali is discharged from the Biafran army. 1981 Marries Dale Brown on August 15 in Baltimore, Maryland. Continues scientific research at National Weather Service. 1983 Obtains U.S. permanent residency “Green Card” visas for his 35 closest relatives. 1987 Programs 65,536 electronic brains, called processors to perform the world’s fastest calculation. 1989 Wins the Gordon Bell Prize alone, the equivalent in the supercomputer industry of the Nobel Prize. 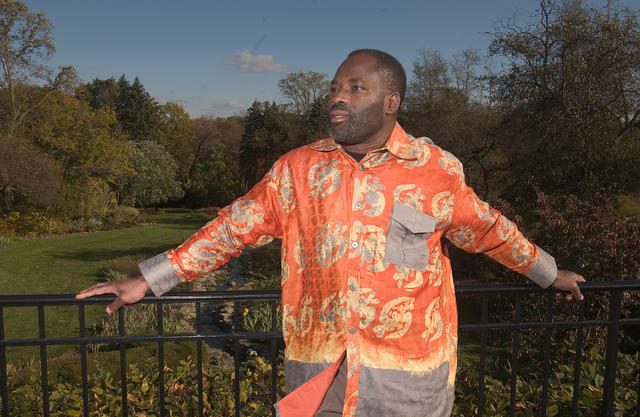 Is Emeagwali the Next Imhotep? 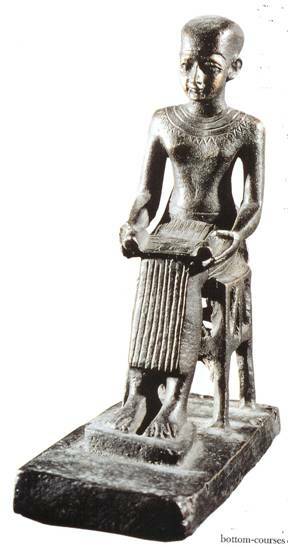 The science and technology categories of “100 Greatest Africans” were topped by Emeagwali (left below) and Imhotep (right below), respectively. New African will be running over the next few months a survey in which you, our readers, are asked to nominate who you think are the greatest Africans – past or present, continental or Diasporan, male or female. Fill out the form below with your nominations with a brief justification as to why you think your choice should be among the top 100 Greatest Africans of all time. We will publish the winning top 100 over the course of next year. 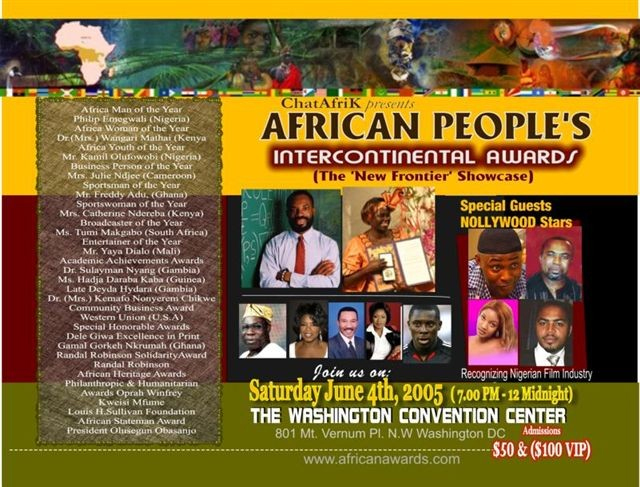 Emeagwali & Nobel laureate Maathai are co-winners of African of the Year. Every year, internet users vote for the 100 hottest Africans without even being aware of it. Each search for a celebrity is recorded by Yahoo and it counts as one vote. We took a snapshot from Yahoo to see who made the list of the top 100 most searched-for African heroes, for 2006. It is also a list of the most talked about, those that captured your attention and imagination the most. Put differently: Which celebrity of African descent will receive the most invitations for an evening of conversation or a meet-and-greet? If Internet users were the only voters, Michael Jackson would run away with the gong, getting twelve times more searches than the venerable Nelson Mandela. 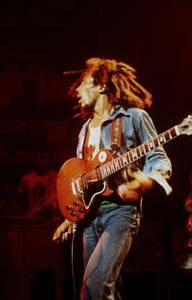 Martin Luther King and Bob Marley were runner-ups. Nelson Mandela was #10, Kofi Annan was #19, Philip Emeagwali was #32, and Olusegun Obasanjo was #52. An interesting information that emerged is that an American celebrity is 100 times more likely to be searched than an African one. The reason is that while all Americans can look up someone on the Internet only one percent of Africans can do so. Except for Bob Marley and Nelson Mandela, all the top ten searches were for African-Americans. Kofi Annan and Haile Selassie barely squeezed into the top 20. 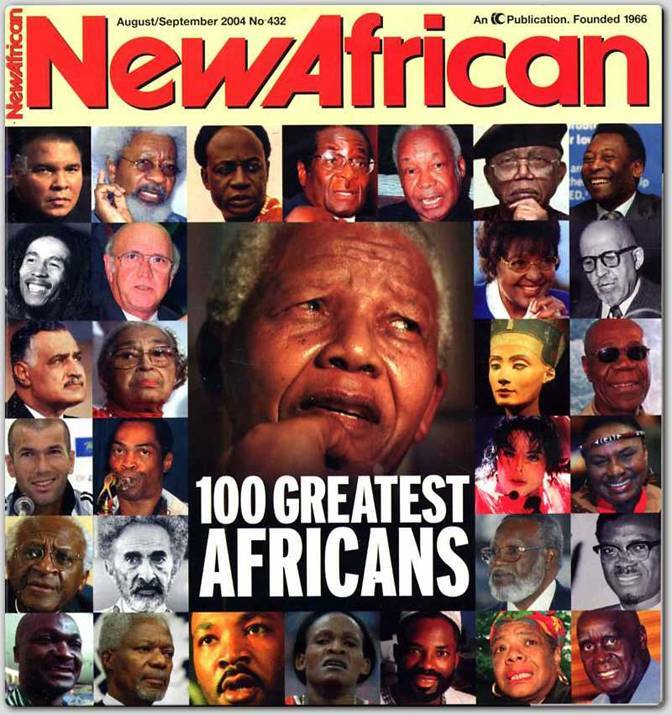 We used the list of 100 greatest Africans from a New African magazine poll and entered them into a yahoo marketing tool to obtain search entries entered during 30-day period. These rankings reflect search entries compiled between April 5-10, 2006. A celebrity’s buzz score is the number of times he or she was searched in a 30-day period. [MSOffice1]Emeagwali (third from bottom right) ranked 35th and the greatest African scientist ever. 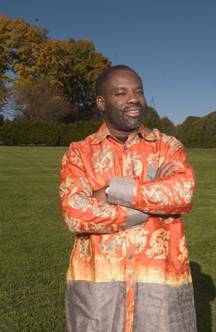 [MSOffice2]Philip Emeagwali also ranked greatest African scientist ever. 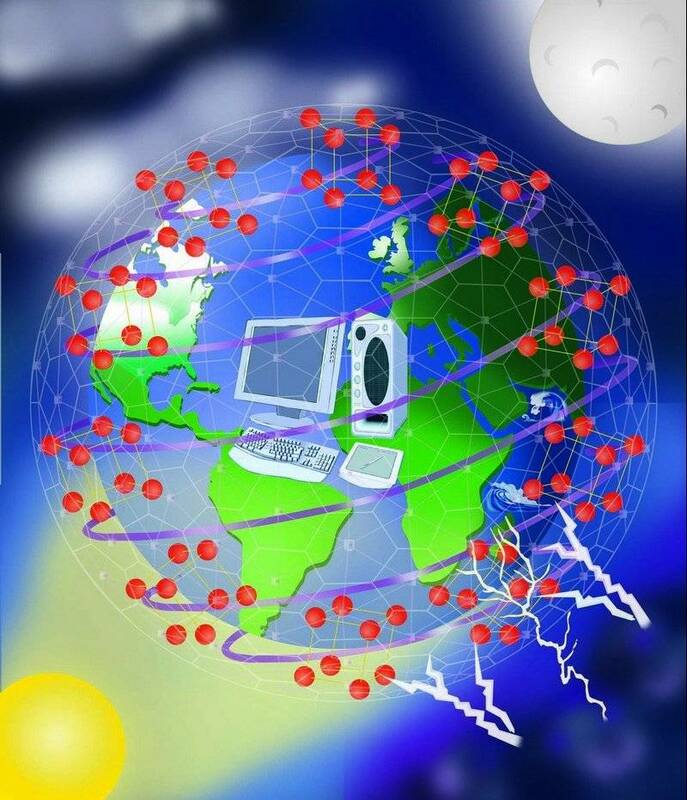 [MSOffice3]The theorized internet-supercomputer network invented by Emeagwali. [MSOffice4]by pioneer missionary William Obelagu at Saint Mary's Catholic Church, Onitsha, in November. [MSOffice5]Lived in refugee camps for two additional years. [MSOffice6]and arrives in Oregon (U.S.) on March 24.